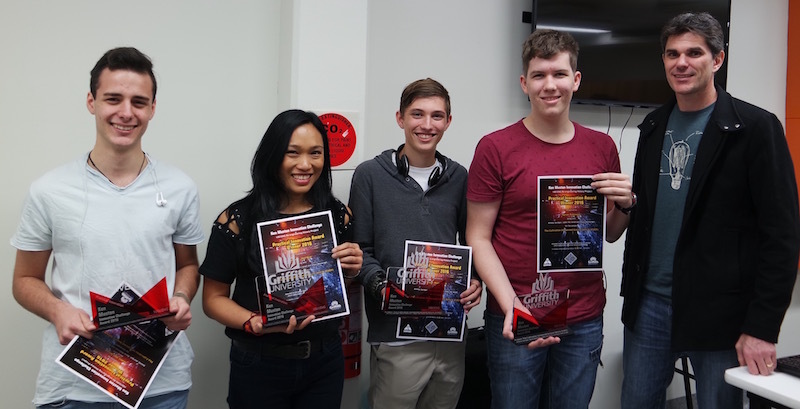 The Ken Muston Innovation Challenge is an opportunity for first year engineering students from Griffith University to be recognised for excelling in the areas of design and creativity in their 1001ENG project. 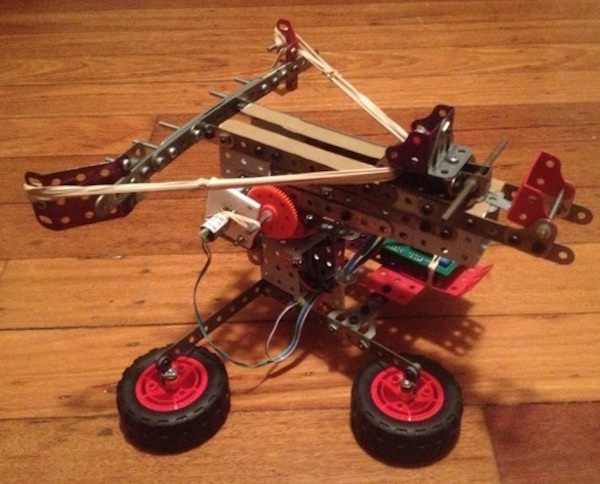 The 1001ENG project requires students to work together in small groups (4-5 students) to design and build a unique machine to solve an open-ended engineering problem. The exact nature of the problem and solution are in the complete control of the student groups, provided they keep within the constraints given to them. This project makes up 75% of the total grade for 1001ENG, and in addition to the formal assessment, the students' projects will be judged for the Ken Muston Innovation Challenge Awards. Practical Innovation: awarded to the group that best demonstrates a design which addresses a practical historical challenge. This should be suitably demonstrated during the final presentation. Entertaining Innovation: awarded to the group that designs and builds the most interesting and entertaining project. 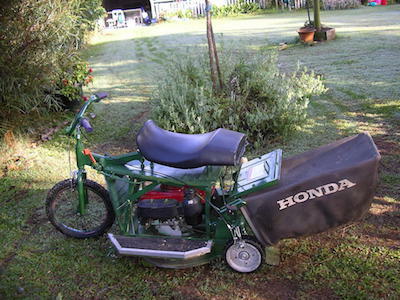 This design may not be the most practical solution to a problem, but it is fun and interesting, and just possibly a little silly. And it should still actually work! Each member of each winning team will receive their own trophy and certificate to attest to their innovation and excellence. The perpetual trophy will also be inscribed with the details of the projects and names of the winners in each category. Kenneth Alfred Muston was born in 1929 and passed away in September 2015. Ken was a child of the 'Great Depression' and WWII era, when opportunities for professional education were far less available than they are today. He had to leave school after grade 7 to get a job, and while he never had the opportunity to formally study electrical and electronic engineering, throughout his life he was always innovating and inventing ways to solve practical problems, or building bizarre machines just for fun. Ken would bring together components from everyday household items, a few basic circuits, and almost invariably a high torque motor harvested from a battery drill! 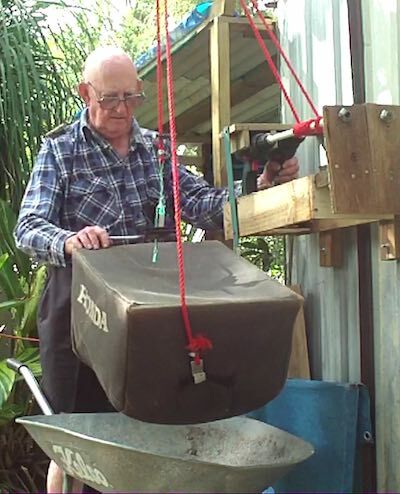 His creations automatically opened doors for dogs (and people), hoisted catchers from mowers, capped bottles of home-brew beer, and remotely operated all manner of things. 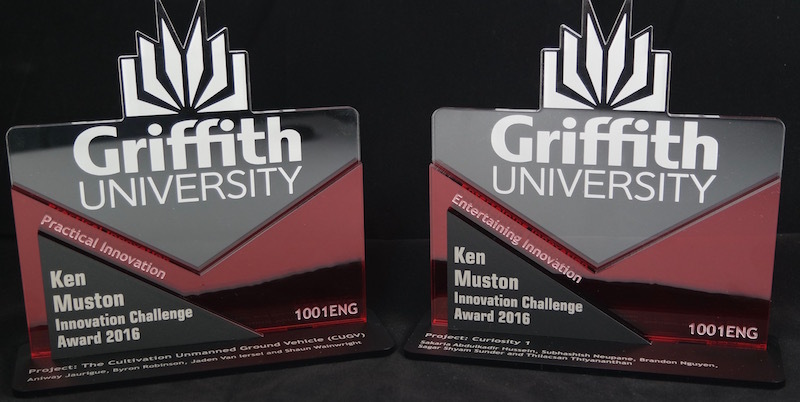 Ken used electromechanical engineering and electronics to solve problems, and it is in this context that Ken's family have worked with staff at Griffith University to create the Ken Muston Innovation Challenge Awards. Amtac Professional Services Pty. Ltd.
Amtac's Principal Advisor and Managing Director has a background in electronics, is a member of the Adjunct Faculty in the School of Criminology and Criminal Justice at Griffith University, and is Ken Muston's son-in-law. 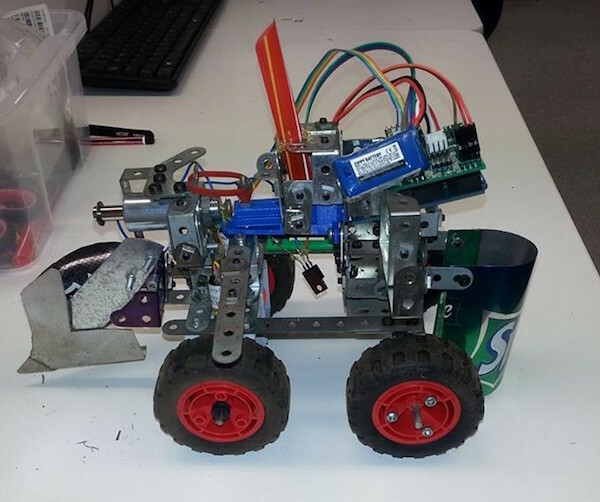 Over 100 students were involved in the challenge for 2016, designing and building all manner of vehicles and machines. The standard of the projects was very high, and the students can be rightly proud of their efforts. 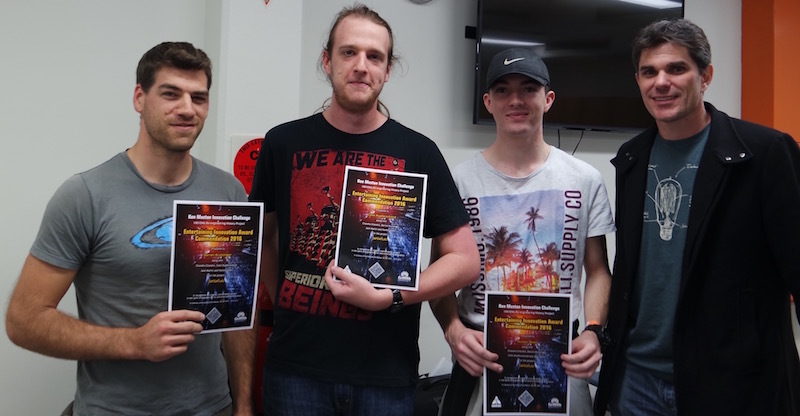 Aniway Jaurigue, Byron Robinson, Jaden Van Iersel and Shaun Wainwright designed and built the Cultivation Unmanned Ground Vehicle (CUGV). This machine drops seeds into a furrow it ploughs, with the solenoid operated seed drop triggered by sensors detecting planting posts. It features a cleverly engineered plough and a rear sweeper to cover the seed. 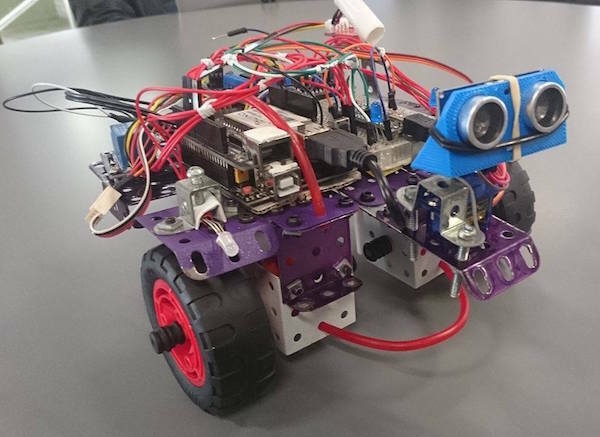 Sakaria Abdulkadir Hussein, Subhashish Neupane, Brandon Nguyen, Sagar Shyam Sunder and Thilacsan Thiyananthan designed and built the Curiosity 1 sensor robot. The clever and entertaining robot wanders around detecting light levels and temperature, determining which direction to go by sensing the most open space. The proximity sensors pivot back and forth like a pair of eyes looking for the best way to go. A special commendation award was presented to Chandra Chandra, Darren Krutsinger, Colin Kupferschmid, Jack Martin and Hunter Owen for their SAFEATLAS target acquisition and range finding crossbow.